Understanding the drivers underlying waste production in general, and source-segregated waste in particular, is of utmost importance for waste managers. 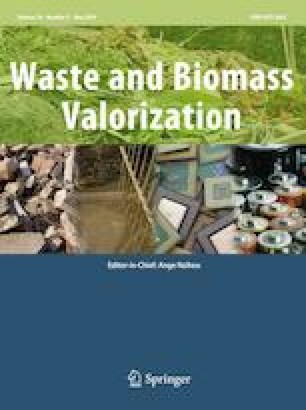 This work aims at evaluating the performance of support vector machines (SVM) models in the prediction of separate collection yields for packaging waste at municipal level. Two SVM models were developed for a case study of 42 municipalities simultaneously serviced by separate collection of packaging waste and by unsorted waste collection. The “SVM-fixed” model used a fixed set of 5 variables to predict collection yields, whereas the “SVM-optimal” model chose from a pool of 14 variables those that optimized performance, using a genetic algorithm. These SVM models were compared with 3 traditional regression models: the ordinary least square linear (OLS-L), the ordinary least square non-linear (OLS-NL) and robust regression. The robust regression model was further compared against the other regression models in order to assess the influence of the dataset outliers on the model performance. The coefficient of determination, R2, was used to evaluate the performance of these models. The highest performance was attained by the SVM-optimal model (R2 = 0.918), compared to the SVM-fixed model (R2 = 0.670). The performance of the SVM-optimal model was 42% higher than the best performing regression model, the OLS-NL model (R2 = 0.646). The differences in performance among the 3 regression models are small (circa 3%), whereas the exclusion of outliers improved their performance by 13%, indicating that outliers impacted more on performance than the type of traditional regression technique used. The results demonstrate that SVM model can be a viable alternative for prediction of separate collection of packaging waste yields and that there are nine important drivers that all together explain roughly 92% (R2 = 0.918) of the variability in the separate collection yields data. This work has been funded by Portuguese National Funds through FCT – Portuguese Foundation for Science and Technology under CERNAS (UID/AMB/00681/2013). C Dias-Ferreira and V Oliveira have been funded through FCT “Fundação para a Ciência e para a Tecnologia” by POCH – Programa Operacional Capital Humano within ESF – European Social Fund and by national funds from MCTES (SFRH/BPD/100717/2014; SFRH/BD/115312/2016). V Sousa acknowledges the support from FCT (SFRH/BSAB/113784/2015) and CERIS. The authors also gratefully acknowledge project Life PAYT – “Tool to Reduce Waste in South Europe” (LIFE15 ENV/PT/000609) for support.